June 13th in Wordpress Plugins by Wordpress Jedi . So you manage websites for your clients and wish to hide certain WordPress admin options to keep your clients from breaking their sites? Adminimize can help. It lets you remove items based on a user’s role, offering a cleaner admin area to your clients. 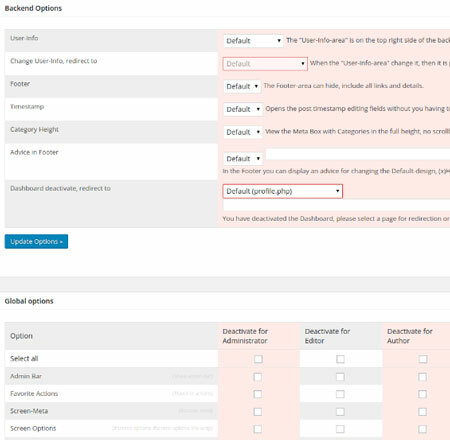 The plugin lets you change settings for admin bar, write options, menu options, and other pages. Adminimize lets you deactivate admin bar, screen-meta, color schemes, screen options, and other features for each user role. 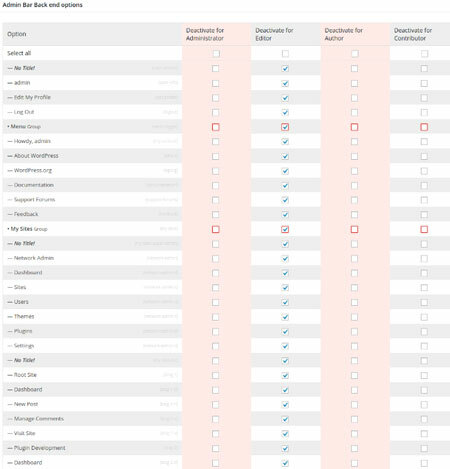 You will simply have to select which items you want to deactivate for whom. Adminimize also allows you to import and export your site options. This plugin supports custom post types. It lets you customize the admin backend for your clients conveniently. It is a free script.